A sinister threat is growing in the void between realities, and Michael Morrison has been recruited to stop it. Ripped from his own violent life, he is sent rift jumping to other worlds seeking out the agents of the Dark and putting them to an end by any means necessary. 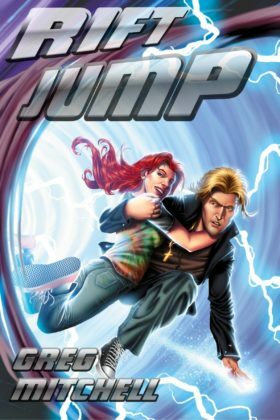 The love of his life, Sara, joins him as he battles Civil War spaceships, sea serpents, superpowered humans, and even his own duplicate from a parallel timeline. But the darkness he fights is growing within him too, calling him to the same destiny as every other Michael from every other world. If he is to change his fate, he must learn to love, to forgive, to trust, and to let the man in the Stetson guide him to become the warrior of the Light he was always meant to be.